There is something unusual about this ad. Can you guess what it is? That’s right, Chick Webb, “The King of the Drums” is a black man! Do you know how many ads I’ve found from before the late 60’s that have a black person who’s not a maid or a porter? This is it folks. I think I have one or two articles that have pictures of black people in them. 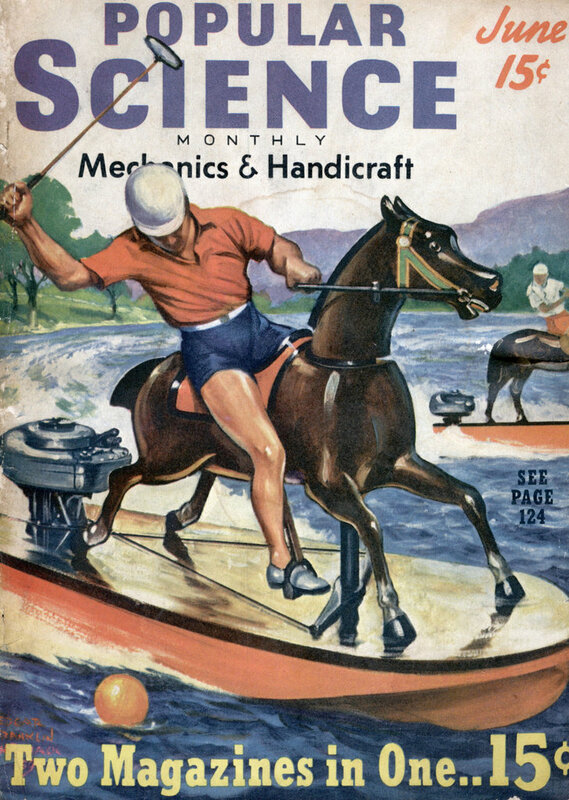 If you were a kid growing up in the mid-west reading science and tech magazines, black people simply did not exist. It’s Lots of Fun to PLAY the DRUMS … and EASY, too! Step out in front! Be entertaining … popular … sought-after by friends. Start to play a GRETSCH DRUM. 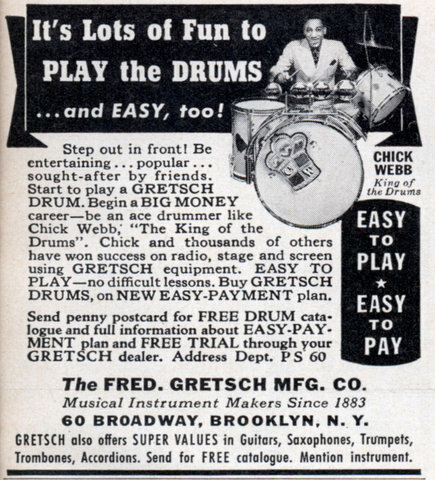 Begin a BIG MONEY careerâ€”be an ace drummer like Chick Webb; “The King of the Drums”. Chick and thousands of others have won success on radio, stage and screen using GRETSCH equipment. EASY TO PLAYâ€”no difficult lessons. Buy GRETSCH DRUMS, on NEW EASY-PAYMENT plan. The FRED. GRETSCH MFG. CO.
Musical Instrument Makers Since 1883 60 BROADWAY, BROOKLYN, N. Y.
GRETSCH also offers SUPER VALUES in Guitars, Saxophones, Trumpets, Trombones, Accordions. Send for FREE catalogue. Mention instrument. I’m producing a documentary on Chick Webb. Could you please contact me if you have a high res scan of this ad (Popular Science, June 1939 – the month Chick died)? I guess Gene Krupa came along a little later.